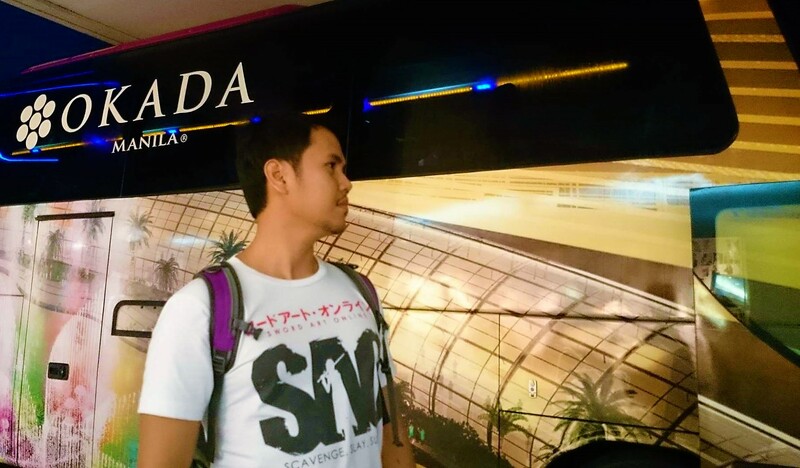 Last week, we went to Okada Manila, the new casino along new seaside drive in Paranaque. 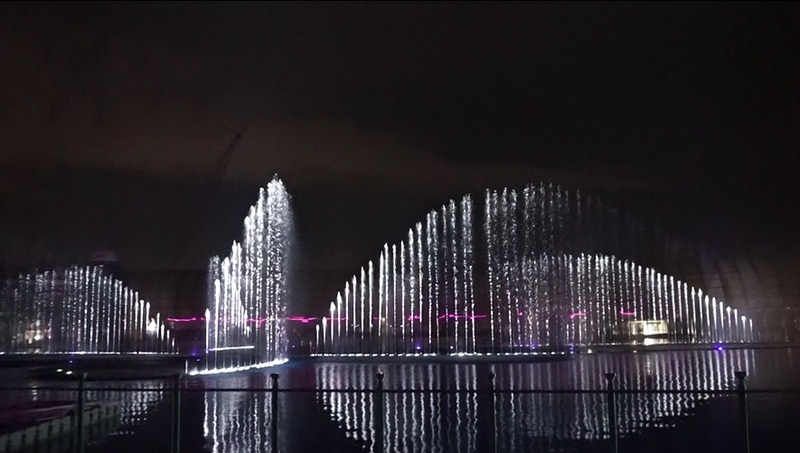 I was told that there will be no entrance fee to explore the casino including the main attraction “The Fountain”. 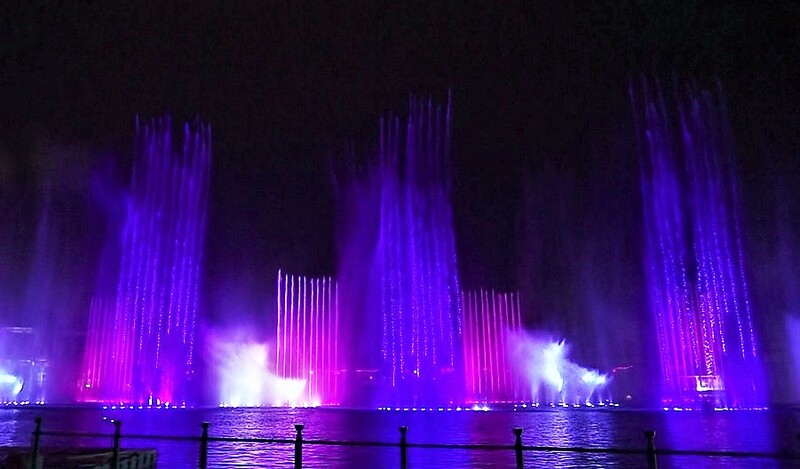 This is going to be the biggest multi-color fountain in Asia and we’re glad to witness it. 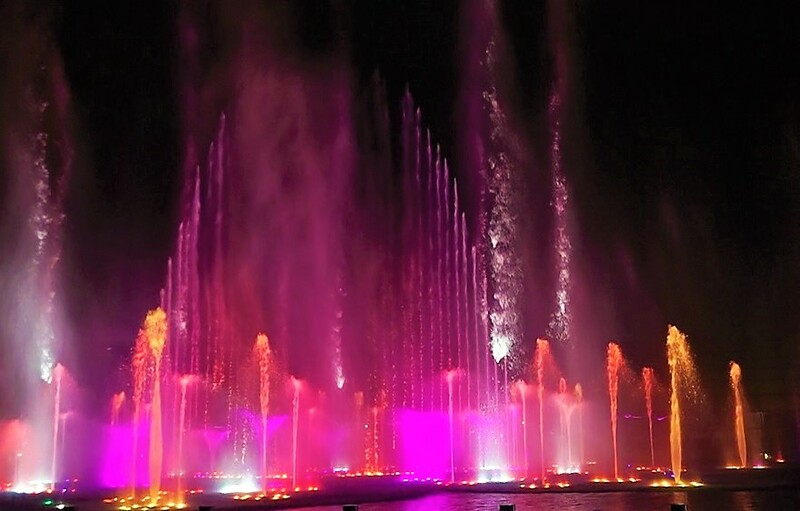 The fountain show starts at 6pm and open for public viewing every 1 hour. 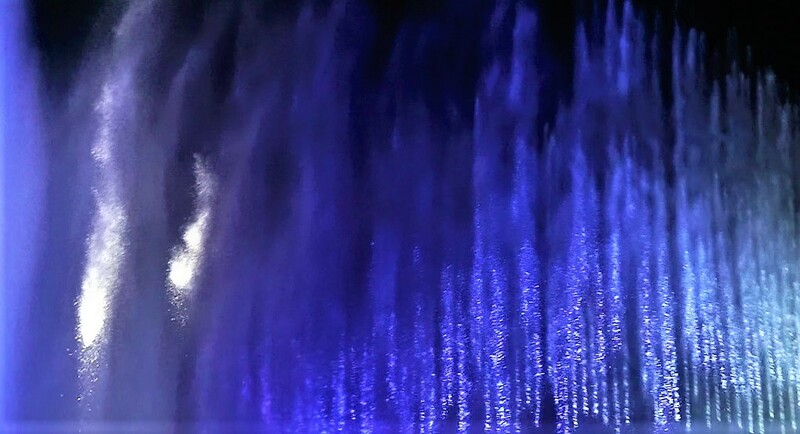 It is much better to see the fountain from the hotel to get a top view. 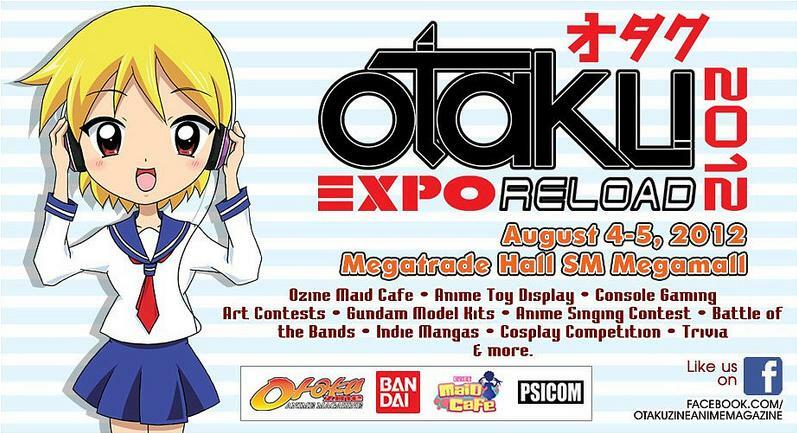 From SM Mall of Asia, shuttle services are provided going to Okada Manila and will arrive every after 15 minutes. 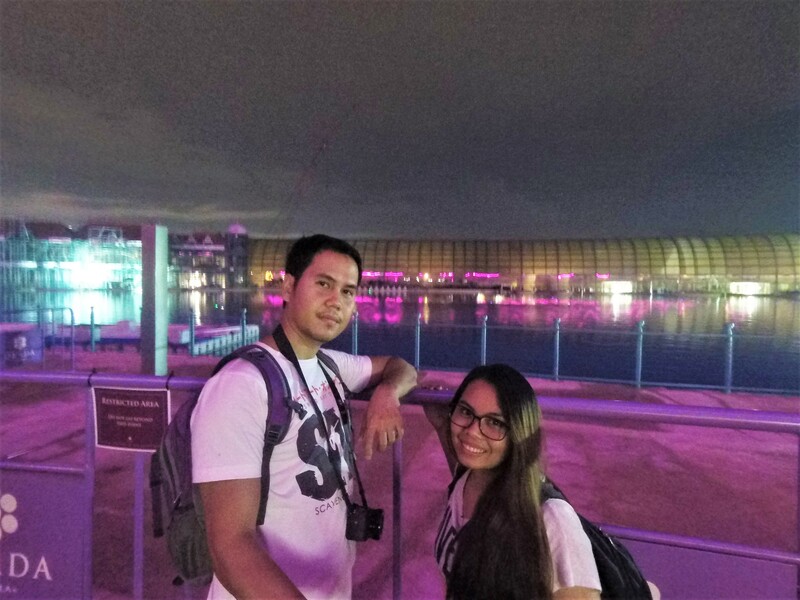 They will also suggest that you get a membership card (no fee) from the casino and just present it whenever you need to take the shuttle. 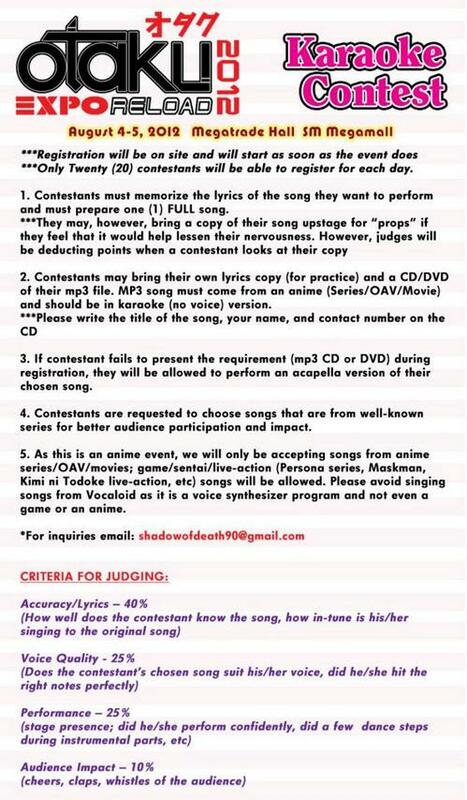 I saw the video from above and its really nice. 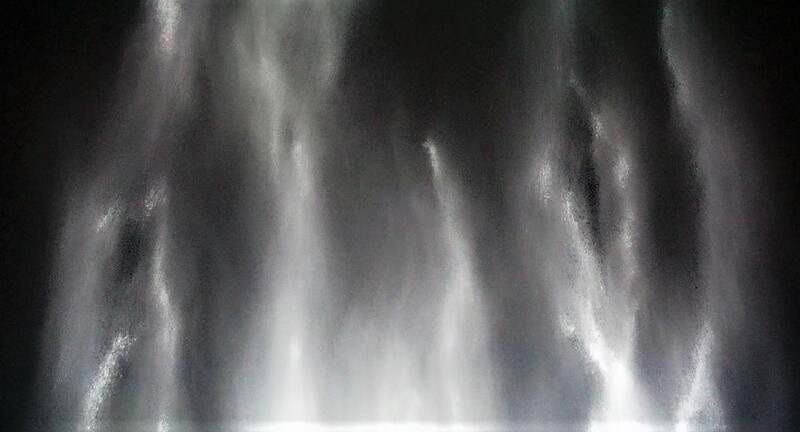 I want to go back soon and do some long exposure shot next time. 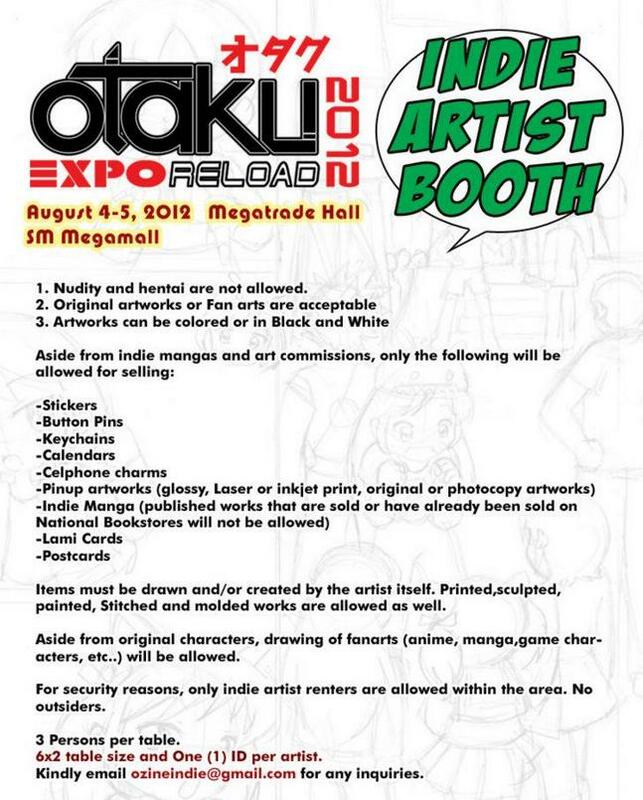 This year Otaku Expo is set on August 4 – 5 at Megatrade Hall of SM Megamall in Mandaluyong. 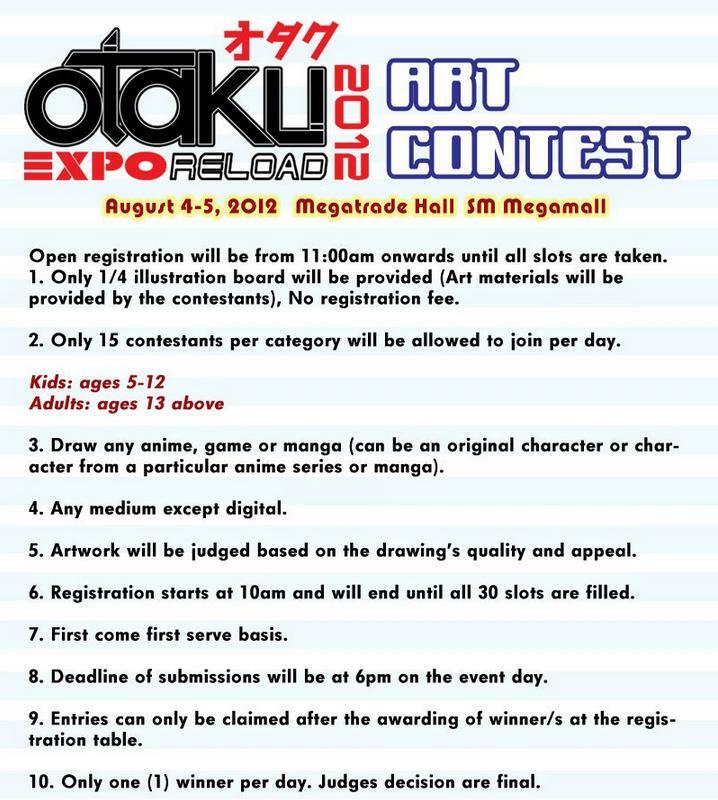 This upcoming anime event was organized by Otakuzine Anime Magazine and you can also visit their official FB fan Page for more information. 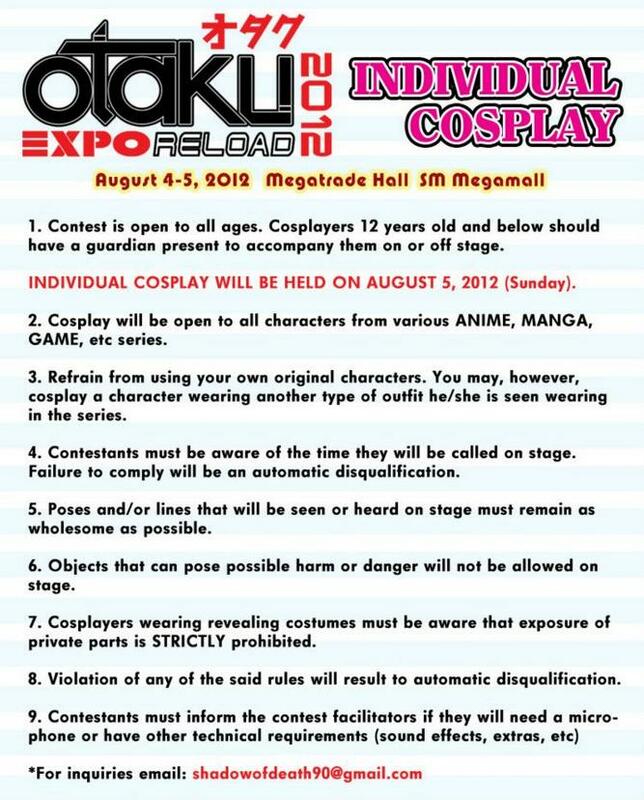 Event will feature Ozine Maid Cafe, toy displays, console gaming, art contests, Gundam model building, anime singing contest, Battle of the Bands, Indie Manga, cosplay competition, trivia games and many more. 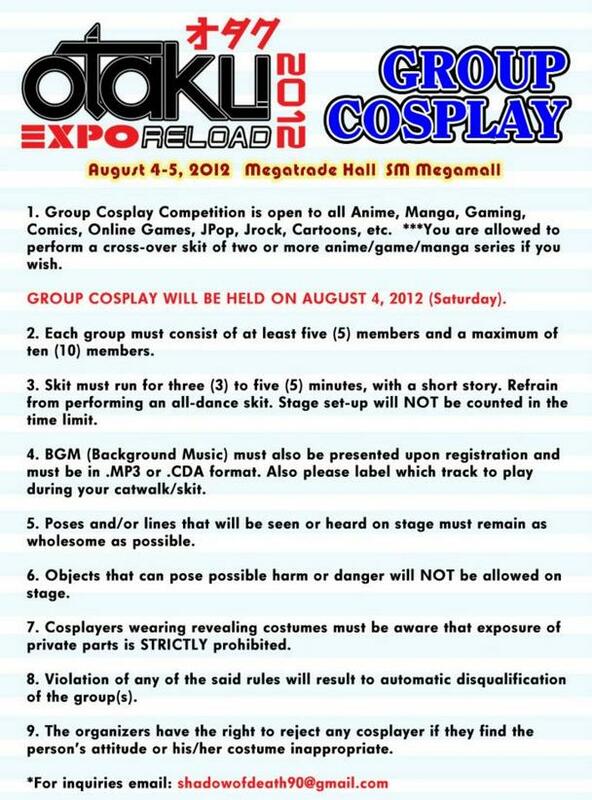 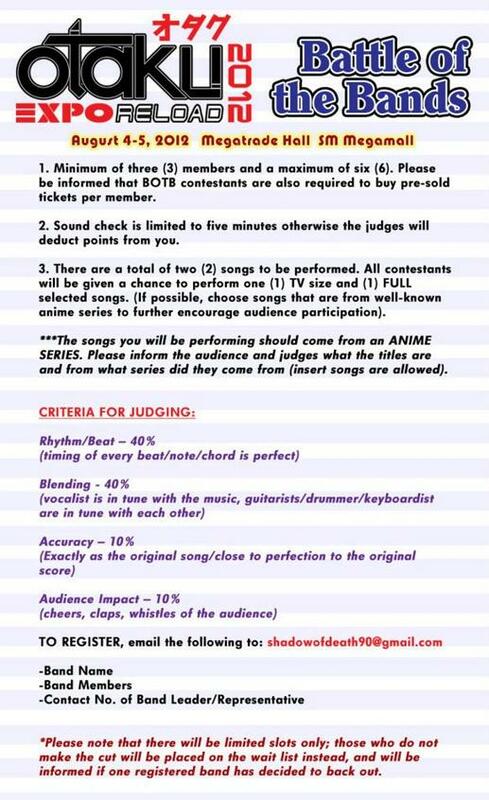 Here are the list of activities and contest rules at the event.